S Started thinking about writing a blunt, pragmatic précis soon after I realized that public diplomacy was unlike anything I had ever encountered in political communications. I was also frustrated to find that the public diplomacy experts of the time did not seem to know how to do what they were telling us to do. Those of us in the field – speaking directly to a complex and dynamic global public – had no guidebooks to help us. So I set out to write one: read full article. 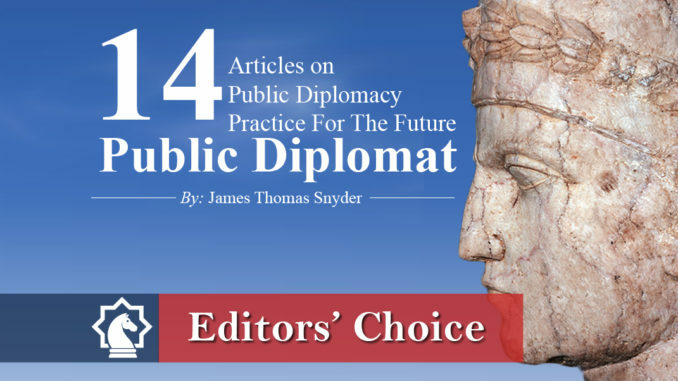 Share the post "14 articles on public diplomacy practice for the future public diplomacy"